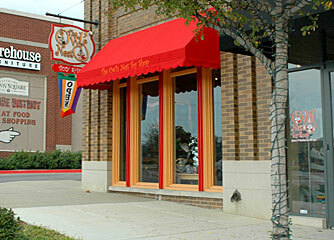 Entering The Owl's Nest Toy Shop in Southlake Town Square is like stepping into a specialty toy catalog. You'll find Thomas the Train, Playmobil, PlasmaCar and Flying Turtle ride-ons, Corolle dolls, Ravensburger puzzles, Papo knights and Schleich animals; along with infant toys, musical instruments, games, science and educational items, building toys, craft kits, dress-up outfits, fun stuff for tweens and a wonderful selection of puzzles and children's books. Our personal attention, gift registry, complimentary gift wrap and our popular frequent buyer's card keeps our customers coming back again and again!